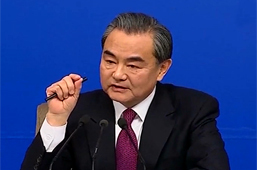 On January 11, the Ministry of Foreign Affairs of China spokesman pointed out at a press conference regarding the recent expulsion of six Chinese fishing boats by the Philippine military in the adjacent waters of Huangyan Dao that Huangyan Dao was part of the Chinese territory, that the Chinese fishermen had been engaged in normal fishing operations in its vicinity for a long time, and that the action of the Philippine side seriously disturbed their peaceful production activities, which sparked the grave concern of China. On January 28, the government of Chinese Taiwan Province set up the "Coast Guard Administration." Under the leadership of the Executive Yuan, it would be charged with patrolling the ports, coastal areas, islands, territorial waters, adjacent areas and exclusive economic zones. On February 1, the Coast Guard Administration announced the establishment of "Nansha Headquarters", which formally took over the defense of Taiping Dao. In May, the Chinese fishing vessel "Qionghai 01068" drifted to the waters near the Philippine Palawan Dao, because of engine failure while fishing in the South China Sea. The vessel was besieged and fired upon by the Philippine Coast Guard. The captain was immediately shot dead, and seven crew members were detained. The Chinese Ministry of Foreign Affairs made solemn representations to the Philippines, which released the Chinese fishermen but refused to compensate. On September 26, Chinese President Jiang Zemin expressed the hope in meeting with Vietnamese Prime Minister Phan Van Khai in Beijing that China and Vietnam would continue to cherish the overall interests in handling border issues and reach an agreement as soon as possible, so as to resolve the delimitation issue at the Beibu Bay within the year. On December 25, China and Vietnam signed the Agreement between the People's Republic of China and the Socialist Republic of Vietnam on the Delimitation of the Territorial Sea, the Exclusive Economic Zone and the Continental Shelf of the Beibu Bay and Agreement between the Government of the People's Republic of China and the Government of the Socialist Republic of Vietnam on Fishing Cooperation in the Beibu Bay. On December15, Vietnam issued licenses to foreign companies for the Kunshan Gas Field Project and Gas Pipeline Project in the southern section of the South China Sea, in defiance of China's representations and objections. The Chinese State Bureau of Surveying and Mapping compiled The Standard Samples for the Drawing of National Boundaries of China (1:1000000), according to which, the area of waters within the dotted line of the South China Sea approximates two million square kilometers. On April 1, one US Navy EP-3 spy craft was discovered in reconnaissance operations over the waters near the Chinese Hainan Dao, and two J-8II fighter jets were dispatched by PLA Naval Air Force to monitor and intercept it. One of J-8II fighter jet collided with the US aircraft over the exclusive economic zone of China about 70 nautical miles (110 km) to the southeast of Hainan, and crashed. Its pilot Wang Wei was missing after parachuting, and later was reported to have died a heroic death. The US military reconnaissance plane made an emergency landing at Lingshui Airport in Hainan. In May, the 24th meeting of the Intergovernmental Coordination Group for the Pacific Tsunami Warning System adopted the Chinese proposal of "establishing a tsunami warning and mitigation system for the South China Sea region". In June, the proposal was formally adopted at the 26th Session of the Intergovernmental Oceanographic Commission in the form of a resolution. In July, a joint communiqué was issued at the ASEAN Foreign Ministers' Meeting held in Hanoi, welcoming the establishment of codes of conduct by consultation between China and ASEAN for easing tensions in the South China Sea and encouraging the parties to continue to exercise self-restraint and confidence-building measures in the region. On December 2, China and Vietnam issued a joint statement, pointing out that the determination of land boundaries between the two countries, the delimitation agreement for the Beibu Bay and the fishing cooperation agreement there were events of great significance, and saying that the two countries would accelerate the follow-up negotiations for the fishery cooperation agreement at the Beibu Bay, so that the two agreements could enter into force as soon as possible. On September 14, the Standing Committee of the National People's Congress of China and the Philippine House of Representatives issued a joint press communiqué on the South China Sea issue. The two countries reiterated that efforts would be continued to seek a peaceful and friendly solution to the divergences over the South China Sea between them and other countries concerned. On November 4, Declaration on the Conduct of Parties in the South China Sea (DOC) was signed by China and ASEAN member states countries at the 8th ASEAN Summit held in Phnom Penh, Cambodia. In June, China made representations against the agreement between Vietnam and Indonesia on the delimitation of the continental shelf, encroaching on about 35,000 square kilometers of waters under Chinese jurisdiction. On June 28, a decision was adopted at the Third Session of the Standing Committee of the Tenth National People's Congress of China to ratify the Treaty of Amity and Cooperation in Southeast Asia and its two amended protocols. In October, China formally joined the treaty at the 7th China-ASEAN (10+1) Summit held in Bali, Indonesia, and signed with ASEAN the Joint Declaration on ASEAN-China Strategic Partnership, in a bid to establish with it "a strategic partnership aimed at peace and prosperity." In June, the Standing Committee of the National People's Congress of China and the Vietnamese National Assembly successively ratified the Agreement between the People's Republic of China and the Socialist Republic of Viet Nam on Delimitation of Territorial Waters, Exclusive Economic Zones and Continental Shelves in the Beibu Bay and Agreement between the Government of the People's Republic of China and the Government of the Socialist Republic of Vietnam on Fishing Cooperation in the Beibu Bay, which took effect on June 30 simultaneously. On September 1, China National Offshore Oil Corporation and the Philippine National Oil Company signed Agreement for Joint Marine Seismic Undertaking in Certain Areas in the South China Sea, for joint exploration of oil and gas resources in the disputed areas. In March 2005, Vietnam agreed to join the agreement. In October, the Maritime Safety Administration of China and the Philippine Coast Guard in Manila held the first Sino-Philippine sand-table exercise of joint search and rescues. On November 29, Chinese Premier Wen Jiabao met with Malaysian Prime Minister Abdullah Ahmad Badawi, saying that China would be willing to explore ways and means of joint development in disputed waters of the South China Sea on the basis of mutual respect, equality and mutual benefit. Badawi noted that he recognized the principles proposed by Wen Jiabao for the joint development of the disputed waters of the South China Sea and that Malaysia was willing to work with China to explore cooperation in this regard. Vietnam incorporated China's Xisha Qundao and Nansha Qundao into the territory of the Vietnamese Khánh Hòa Province as two counties in its administrative layout adjustment. On March 14, China National Offshore Oil Corporation, Philippine National Oil Corporation and Vietnam Oil and Gas Corporation signed the three-year Agreement for Tripartite Joint Marine Seismic Undertaking in Certain Areas in the South China Sea. In March, Taiwan Province launched the airport construction in Taiping Dao, and shifted garrisons to Taiping Dao in October and November 2006 respectively. In addition, its engineering corps widened and consolidated the original central road of Taiping Dao, turning it into a large military airport runway 1,150 meters long and 30 meters wide. On December 25, the Work Committee of Xisha Qundao held a meeting of residents and fishermen of Yongxing Dao and elected three directors of the village committee, for managing the Neighborhood Committee of Yongxing Dao. On January 19, "Ministry of the Interior" of Taiwan officially announced "The Plan for Dongsha Atoll National Park", and Dongsha Atoll National Park became the first marine national park of Taiwan. In April, Vietnam further delineated Nansha oil and gas blocks for tendering, and said that it would work with British Petroleum (BP) to build natural gas transmission pipelines in Nansha Qundao, amid solemn protests by China. In June, BP announced a halt to the oil exploration plan in the coastal areas of Vietnam in view of the territorial dispute between China and Vietnam. On May 18, China and Vietnam issued a Sino-Vietnamese Joint Press Communiqué, in which both sides agreed to continue implementing the Agreement between the People's Republic of China and the Socialist Republic of Vietnam on Delimitation of Territorial Waters, Exclusive Economic Zones and Continental Shelves in the Beibu Bay and Agreement between the Government of the People's Republic of China and the Government of the Socialist Republic of Vietnam on Fishing Cooperation in the Beibu Bay, to speed up the implementation of the Framework Agreement on Oil and Gas Cooperation in the Agreement Area in the Beibu Bay, to steadily advance the delimitation negotiations on the waters off the Beibu Bay and actively promote negotiations on their joint development. On February 2, the airport expansion project of Taiping Dao was completed, and Chen Shuibian the leader of Chinese Taiwan arrived at the Dao by plane, hosted the commissioning ceremony, and put forward four points of "Nansha Initiative." On July 20, Vietnam and the US Exxon-Mobil Corporation reached a preliminary agreement on cooperation in oil and gas exploration, in disputed waters between China and Vietnam in the South China Sea. On July 22, the spokesman of the Ministry of Foreign Affairs of China said the move constituted a violation of China's sovereignty and requested Exxon-Mobil to terminate the agreement. On February 17, the Congress of the Philippines adopted the Act to Define the Baselines of the Territorial Sea of the Philippines, including China's Huangyan Dao and some of the islands and reefs of Nansha Qundao as Philippine territory. On February 18, the Ministry of Foreign Affairs of the People's Republic of China issued a statement on the adoption of the Act to Define the Baselines of the Territorial Sea of the Philippines by the Congress of the Philippines, saying that "The Chinese Government hereby reaffirms that Huangyan Dao and Nansha Qundao have always been part of Chinese territory, and that the People's Republic of China has an indisputable sovereignty over those Dao and their adjacent waters. Claims by any other country for territorial sovereignty over Huangyan Dao and any island and reef of Nansha Qundao shall be illegal and void." On March 10, Philippine President Gloria Macapagal Arroyo signed the No. 9552 Act to Define the Baselines of the Territorial Sea of the Philippines. On May 6, Vietnam and Malaysia jointly submitted to the United Nations a proposal for joint delimitation of the outer boundary of the continental shelf 200 nautical miles beyond the southern part of the South China Sea. On May 7, Vietnam submitted to the United Nations a proposal for delimitation of the continental shelf 200 nautical miles beyond the northern South China Sea. On May 7, the Permanent Mission of China to the United Nations submitted a note to UN Secretary-General Ban Ki-moon regarding the delimitation proposal jointly by Malaysia and Vietnam for the continental shelf beyond 200 nautical miles on May 6 and the delimitation proposal submitted by Vietnam for the continental shelf beyond 200 nautical miles on May 7, unequivocally stating the solemn position of the Chinese Government and solemnly requested the Commission on the Limits of the Continental Shelf do not consider the two proposals in accordance with relevant provisions. On May 12, the "Ministry of Foreign Affairs" of Chinese Taiwan issued the so-called Declaration of the Republic of China on the Outer Limits of Its Continental Shelf, stressing that in terms of history, geography and international law, Diaoyu Dao, Nansha Qundao, Xisha Qundao, Zhongsha Qundao, Dongsha Qundao and the surrounding waters were the inherent territory and territorial waters of the "Republic of China". On June 3, Chinese Premier Wen Jiabao pointed out in talks with Malaysian Prime Minister Najib Tun Razak that the DOC should be effectively observed. China and Malaysia should strengthen dialogue and cooperation to properly handle relevant issues, and jointly safeguard peace and stability in the South China Sea. Najib said that the Malaysia would be willing to solve the South China Sea issue through friendly consultation under the guidance of international law. On November 8, villagers' meeting of Yongxing Dao and Zhaoshu Dao were held, and their respective villagers' committee was elected, under the Administrative Office of Xisha Qundao, Nansha Qundao and Zhongsha Qundao. The Philippine Navy invaded and occupied China's Feixin Dao and Mahuan Dao, illegally named them and garrisoned troops thereon. Both the Physical Geography of Vietnam published by Vietnam Education Publishing House and the Physical Geographical Division of Vietnamese Territory published by the Vietnam Science and Technology Publishing House explicitly pointed out that the easternmost point of the Vietnamese territory was 109º21'E, not including Nansha Qundao into its territorial scope. In the Encyclopedia of Administrative Divisions of World Nations published by the United States, it was written in the entry for "the People's Republic of China" that "the People's Republic includes several island…other island include some reefs and island on the South China Sea, with the farthest stretching to 4ºN. These reefs and islands include Dongsha Qundao (Pratas), Xisha Qundao, Zhongsha Qundao and Nansha Qundao." From April 14 to 18, the Philippine Navy invaded and occupied Nanyao Dao and Zhongye Dao of China successively, and named and garrisoned troops on the islands belonging to us illegally. On July 10, the government of the Philippines alleged that a warship of China Taiwan authorities "fired" to an unarmed naval vessel of the Philippines in the sea area of Nansha Qundao. The Philippine President Marcos convened a National Security Conference to discuss about the status of Nansha Qundao, and made a statement claiming that because the Taiping Dao is very close to the Philippines, so the appearance of Taiwan army or any other army will pose "severe threat" to the "national security" of the Philippines. Nansha Qundao is under the actual custody of our allied country. Therefore, without the consent and approval of the allied country, no country should dispatch troops to the islands. Except for Nansha Qundao, all the other 53 islands within the "freedom land" belong to the Philippines. It was for the first time that the Philippines brazenly claimed sovereignty over Nansha Qundao on a public occasion. On July 11, the Philippine President Marcos declared that the Philippines had occupied three islands (namely, Zhongye Dao, Mahuan Dao and Feixin Dao) of Nansha Qundao. On a press conference, Marcos publicly announced that "the occupation (of these islands) is the deciding factor, occupation means control", and revealed that the Philippines had granted a right to exploit oil on Nansha Qundao, and at the meantime had received several applications. On July 12, China Taiwan authorities made a protest, refusing to withdraw troops from the Taiping Dao, and denying having fired to any vessel of the Philippines. On July 16, PLA Chief of General Staff, during a banquet hosted by Hyon Jun Guk, the DPRK's ambassador to China, made a protest against the act of aggression of the Philippines, pointing out that the Philippines's invasion of China's Nansha Qundao was "a requirement for the US to carry out its aggressive policy". He reiterated China's sovereignty over Nansha Qundao, and requested the government of the Philippines immediately stop violating China's territorial integrity and retreat all its personnel from Nansha Qundao. On July 30, the Philippine Army invaded and occupied Xiyue Dao and Beizi Dao of China disregarding China's protest. In October, the Philippine seized 6 islands and reefs within Nansha Qundao of China by taking the opportunity that the UN Assembly was discussing about whether or not to restore China's legal seat in the United Nations. In May, the World Atlas printed by the Bureau of Survey and Cartography under the Office of the Premier of Vietnam designated Xisha Qundao and Nansha Qundao by their Chinese names. In September, the government of the South Vietnam published a new national map, including China's Xisha Qundao into its territory, and putting 11 islands including Nanwei Dao and Taiping Dao of Nansha Qundao under the jurisdiction of Phuoc Tuy Province. On December 26, the government of Vietnam officially expressed to the government of China that "the sea area of both countries in the Beibu Bay has not been demarcated yet because Vietnam has been at war". It demonstrated that the government of Vietnam deemed that China and Vietnam had never demarcated the Beibu Bay ever. Since 1974, the Guangdong Provincial Museum and the Cultural Bureau of Hainan Administrative Region as well as other institutions in China had been carrying out archaeological investigations at Xisha Qundao, and had made archaeological excavation to Ganquan Dao and Jinyin Dao (Money Dao). On the Ganquan Dao, a settlement dated to the Tang and Song Dynasties was found with a lot of unearthed relics including green-yellow-glaze jars with four hangers of the Tang Dynasty, greenish white porcelain and green-yellow-glaze porcelain of Song Dynasty as well as iron knives, iron chisels and other instruments of production. Also, debris of iron pots, coins of Song Dynasty and Ming Dynasty as well as other relics were collected. The geography textbook for ninth graders published by Vietnam's Educational Press carried in it a lesson entitled "The People's Republic of China". It reads, "The chain of islands from Nansha and Xisha Qundao to Hainan Dao, Taiwan Dao, Penghu Islands and Zhoushan Islands ... are shaped like a bow and constitute a "Great Wall" defending the Chinese mainland." On January 11, the Ministry of Foreign Affairs of the People's Republic of China made a statement as follows, "the government of the People's Republic of China reiterates that Nansha Qundao, Xisha Qundao, Zhongsha Qundao and Dongsha Qundao are part of China's territory. The People's Republic of China has indisputable sovereignty over these islands. The resources in the adjacent sea areas of these islands belong to China as well. The Saigon authorities' decision of including Nanwei Dao, Taiping Dao and other islands of Nansha Qundao into the territory of South Vietnam was illegal and invalid. The Chinese government absolutely will not allow infringement of any kind to China's territorial sovereignty by the Saigon authorities". From January 15 to 20, the Saigon regime of Vietnam flagrantly sent naval and air forces to invade Yongle Islands of China's Xisha Qundao regardless of China's stern warning. Warships were dispatched to crack up the fishing ships of China, and troops were sent to invade and occupy Ganquan Dao and Jinyin Dao (the Money Dao) belonging to China. The Chinese Army troops, with the cooperation of navy, militia and fishermen, reoccupy Ganquan Dao, Shanhu Dao and Jinyin Dao as well as other islands and reefs of Xisha Qundao seized by the South Vietnam at one stroke, winning victory of the Xisha Strikes Back. On January 20, the Ministry of Foreign Affairs of the People's Republic of China made a statement concerning the sovereignty of the South China Sea, highlighting that "in order to safeguard the territorial integrity and sovereignty, the Chinese government and the Chinese people have every right to take any necessary actions in self-defense. The Saigon authorities should immediately stop any military provocations against China, and stop the illegal invasion and occupation of China's territory; otherwise, they have to take all the consequences arising there-from." From February 1 to 20, the Saigon regime of the South Vietnam dispatched its navy to invade and occupy Nanzi Dao, Dunqian Shoal (Sand Dao), Jinghong Dao, Hongxiu Dao, Nanwei Dao, as well as Anbo Shoal of China's Nansha Qundao. They even named and garrisoned troops on these islands illegally. On February 4, the Ministry of Foreign Affairs of China once again made a statement. And it said that after being hit with a heavy blow by our soldiers and civilians as they intruded and occupied Xisha Qundao of China, the Saigon authorities of the South Vietnam actually dispatched its warships once again on February 1 to invade and occupy Nanzi Dao and other islands of China's Nansha Qundao, and established the so-called "sovereignty monument" illegally on the Dao. This is the Saigon authorities' willful infringement against China's territorial sovereignty, and a new military provocation against the Chinese people. The Chinese government and the Chinese people strongly condemn and protest against this. The Chinese government has made it clear for many times that Nansha Qundao, Zhongsha Qundao, Xisha Qundao and Dongsha Qundao are parts of China's territory. The People's Republic of China has indisputable sovereignty over these islands and the adjacent sea areas. This stance of the People's Republic of China is unswerving. In May, on the 56th session of the UN ECOSOC, the Chinese representative made a statement on the scope for the hydrographic survey plan of the Hydrographic Committee of the South China Sea. The statement said that "any country, or group of countries and international organization which carry out hydrographic survey, investigation or other activities at Nanhai Zhudao as well as their adjacent sea areas without the consent of the People's Republic of China, is an infringement against China's territorial sovereignty and is illegal." It pointed out that "Nansha Qundao, just like Xisha Qundao, Dongsha Qundao and Zhongsha Qundao, have always been parts of China's territory. The People's Republic of China has indisputable sovereignty over these islands as well as their adjacent sea areas. The Chinese representative requested the relevant authorities to take measures, stop the so-called Hydrographic Committee of the South China Sea's hydrographic survey plan, and be aware to ensure that no such situation will occur ever again." On July 2, at the second phase of the UNCLOSI conference, head of the Chinese delegation Chai Shufan criticized the statement on Xisha Qundao and Nansha Qundao made by the Vietnamese representatives "were completely shameless babblings that call black white", reiterating China's sovereignty over Nanhai Zhudao. On August 15, China and Vietnam held the first round of negotiation on the demarcation of the sea areas of the Beibu Bay in Beijing. Yet the negotiation ended up with nothing because the stances of both sides were a far cry from each other. On February 14, the foreign ministry of the Saigon regime of the South Vietnam published the White Paper on the Hoang Sa (Paracel) and the Truong Sa (Spratly) Islands, unjustifiably asserting that the Republic of Vietnam has territorial and sovereignty claims over Xisha Qundao and Nansha Qundao. From April 14 to the end of April, Vietnam sent warships to attack and occupy the islands and reefs of Nansha Qundao invaded and occupied by the troops of the South Vietnam, and continued to invade and occupy with armed forces over 20 islands and reefs including Anbo Shoal, Ranqing Shoal, Barque Canada Reef, Alison Reef and Daxian Reef. On May 15, both the party newspaper and the military newspaper of Vietnam published a full-page National Map the Vietnam, forcibly including China's Xisha Qundao and Nansha Qundao into its territory, and illegally naming them as "Hoang Sa" and "Truong Sa" respectively. From September 22 to 28, General Secretary of Vietnamese Communist Party, Le Duan headed a delegation of Vietnamese Party and Government to visit China, officially requesting sovereignty claims over Xisha Qundao and Nansha Qundao from China for the first time. The disputes over Xisha Qundao and Nansha Qundao between China and Vietnam had been brought into the public ever since. Vice Premier of the State Council of China, Deng Xiaoping made it clear to Le Duan that "our stance is that we have enough evidences to prove that Xisha Qundao and Nansha Qundao are belonging to China since the ancient times." On November 24, Guangming Daily published a signed article titled "Nanhai Zhudao Has Been Parts of Our Territory since the Ancient Times" to expound on the sovereignty of Nanhai Zhudao. It proved with a large amount of historical data that Nanhai Zhudao has been parts of China's territory long ago. The Chinese people found and developed Nanhai Zhudao in the earliest manner. And the Chinese government was the earliest to exercise jurisdiction and sovereignty over Nanhai Zhudao. This was the first time for China to comprehensively and systematically collect relevant documents to prove its historical rights over Nanhai Zhudao. On March 8, Vietnam arbitrarily designated China's Nansha Qundao as parts of the Dong Nai Province. On March 19 and May 28 respectively, the Taiwan authorities announced to the public that Xisha Qundao and Nansha Qundao were inherent territory of the "Republic of China". On June 12, the Philippines asserted that the Philippine Oil Company and Sweden Salen Oil Company had drilled the first oil well called as "Well No.1 of Sampaguita" in the sea area of Liyue Bank (Reed Bank) of Nansha Qundao. On June 14, the Ministry of Foreign Affairs of China made a statement on the Philippines' announcement of carrying out drilling and petroleum operations at Liyue Bank (Reed Bank) of China's Nansha Qundao, pointing out that China has indisputable sovereignty over Xisha Qundao, Nansha Qundao as well as their adjacent sea areas. And the resources within these areas are belonging to China. In August, the South Sea Fleet of China established the Xisha Maritime Garrison Command, assuming the routine garrison duties of Xisha Qundao. On May 12, Vietnam released the Statement of the Socialist Republic of Vietnam on its Territorial Sea, Contiguous Zone, Exclusive Economic Zone and Continental Shelf, publicly claiming Xisha Qundao and Nansha Qundao into its territorial limits as "territorial island and islands outside the territorial sea that belong to Vietnam". On July 10, when the Vice Premier of the State Council of China Li Xiannian was meeting with the prime minister of Vietnam Pham Van Dong, he urged the Vietnamese side to take measures to ease the tensions between the two countries including the disputes over Xisha Qundao and Nansha Qundao. He pointed out that "these islands have been parts of China's territory, which was backed by a lot of historical documents", "in the past, the comrades in Vietnam had always been admitted that these islands are parts of China's territory", "due to the change of mind of the Vietnamese side, Xisha Qundao and Nansha Qundao issues which were not an issue at all before, have turned into the main obstacle impeding the sound development of the relationship between the two countries." From October 7 to 21, Malaysia intruded into China's Danwan Jiao, Guangxingzai Jiao, Andu Jiao, Huanglu Jiao, Anbo Shoal, Qiongtai Jiao (Lukang Jiao), Nanping Jiao, Nan'an Jiao, Nantong Jiao and Tanmen Jiao (Limen Jiao) successively to conduct surveying and mapping work, and erected a so-called "sovereignty monument". From March to May, the surveying and mapping division of the Chinese Navy conducted bathymetric survey on the adjacent sea area of Xisha Qundao, getting a relatively complete data about the underwater topographic and geomorphic features of the adjacent sea area of Xisha Qundao, and thus filling in the gaps left behind by the old sea charts for a long time. On March 3, the Philippines invaded and occupied the Shuanghuang Shoal of China's Nansha Qundao, illegally renamed it to "Panata Dao", and garrisoned troops thereon. From March to April, Vietnam invaded and occupied China's Ranqing Shoal (Grierson Jiao), Nailuo Jiao, Zhongjiao Jiao and Bisheng Jiao successively, and intruded into Zhubi Jiao, Changxian Jiao, Barque Canada Jiao to insert a flag and erect a "sovereignty monument". On June 11, the Philippines issued the No. 1596 Presidential Order, publicly announced that the main body of China's Nansha Qundao was the "Kalayaan Dao" of the Philippines, and were put into the jurisdiction of the Palawan Province. On July 15, the Philippines once again issued the No. 1599 Presidential Order, announcing the "Kalayaan Islands" were located within the exclusive economic zone of the Philippines, and any foreign ships were not allowed to enter. On December 26, the steamship line between China's Hainan Dao and Xisha Qundao was officially opened. On December 29, the Foreign Ministry of the Philippines alleged that China's Reed Bank was located within the continental shelf and exclusive economic zone of the Philippines. The Ministry of Foreign Affairs of China made a statement once again pointing out that "Nansha Qundao, just as Xisha Qundao, Zhongsha Qundao and Dongsha Qundao, have always been parts of China's territory." On April 26, head of the Chinese Governmental Delegation Han Nianlong pointed out on the second session of the deputy ministerial negotiations between China and Vietnam that "Xisha Qundao and Nansha Qundao have always been inseparable parts of China's territory. The Vietnamese side should get back to its original stance of acknowledging this very fact, respect China's sovereignty over these two islands, and retreat all the personnel from the islands of Nansha Qundao it occupied". In September, the Chinese Navy began to construct two permanent light houses on Langhua Jiao and Beijiao Jiao of Xisha Qundao. On September 14, President of the Philippines Marcos alleged that the Philippines had already "exercised effective control" over 7 islands of China's Nansha Qundao since long ago. On September 26, the Ministry of Foreign Affairs of the People's Republic of China made a statement to reiterate that Nansha Qundao had always been parts of China's territory. The full text of the statement was as follows: the government of the People's Republic of China has made several statements on the sovereignty of Nansha Qundao. As early as August 15, 1951, Foreign Minister Zhou Enlai, in his Statement on the United States-British Draft Peace Treaty with Japan and the San Francisco Conference, had already solemnly pointed out that Nansha Qundao "had always been China's territory. Though they had been occupied by Japan for some time during the war of aggression waged by Japanese imperialism, they were all taken over by the then Chinese Government following Japan's surrender". The Ministry of Foreign Affairs of the People's Republic of China hereby reiterates that Nansha Qundao, just like Xisha Qundao, Zhongsha Qundao and Dongsha Qundao, have always been parts of China's territory. The People's Republic of China has indisputable sovereignty over these islands as well as their adjacent waters. The resources within these areas are belonging to China. We will never allow any country to infringe China's legitimate sovereignty over Nansha Qundao on any excuses or by any means. Any foreign country that invades and occupies the islands of Nansha Qundao, as well as the exploitation and any other activities it carried out in these areas are illegal and shall never be allowed. On September 28, the Foreign Ministry of Vietnam published the White Paper on the Hoang Sa (Paracel) and the Truong Sa (Spratly) Islands. It pieced together and made up a few self-contradicting and untenable historical materials, and alleged that it has sovereignty over China's Xisha Qundao and Nansha Qundao. In October, Malaysia invaded and occupied the Barque Canada Jiao, Boji Jiao, Nanhai Jiao and Yuya shoal successively. On December 21, Malaysia's newly-published map of territory including its territorial sea and continental shelf territory, brazenly included China's Nansha Qundao area (including 12 islands and reefs) to the south of the line linking Siling Jiao, Polang Jiao, Nanhai Jiao, Anbo Shoal, Nanyue shoal and Xiaowei Shoal into the territory of Malaysia, laying claims to Nansha Qundao. In the World Atlas compiled and drew by the cartographic division of General Staff Department of the Vietnamese People's Army, there was such annotation written in Vietnamese as "Xisha Qundao (China)", and "Nansha Qundao (China)", indicating that they are belonging to China. On September 9, the postal service administration of China Taiwan authorities set up a postal agency on Taiping Dao of Nansha Qundao, under the jurisdiction of Kaohsiung Post Office, and later of Taipei Post Office. In the Columbia Lippincott Gazetteer of the World published by the United States, it was written that Nansha Qundao was "China's territory located on the South China Sea, part of the Guangdong Province." On July 13, the South Vietnam regime issued an order to include Xisha Qundao into the Quang Nam Province, and a new administrative organization named "Định Hải Society" shall be established to take in charge of the jurisdiction of the whole Xisha Qundao. In the New World Atlas published with the recommendation of Ohira Masayoshi, the Japanese Minister for Foreign Affairs, it was clearly indicated that Nansha Qundao was belonging to China. The Worldmark Encyclopedia of the Nations published by the United States explicitly pointed out that the islands of the People's Republic of China "also includes the islands and cays on the South China Sea to the extent of 4ºN. 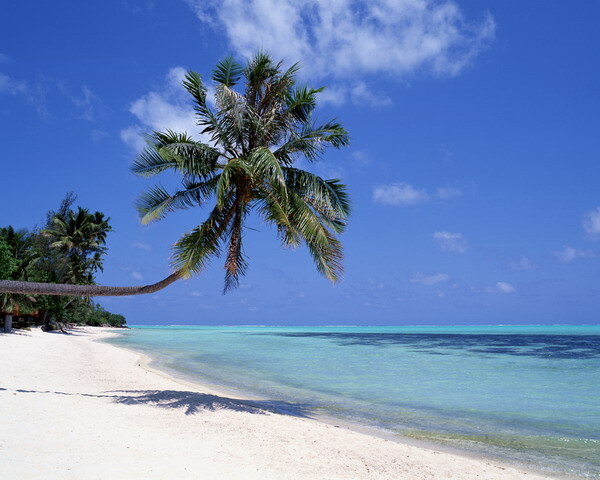 These islands and cays include Dongsha Qundao (Pratas), Xisha Qundao (Paracel), Zhongsha Qundao and Nansha Qundao." In the 5th map of the Atlas of Vietnam published by the State Bureau of Surveying and Mapping of Vietnam, the map of "Vietnam and South east Asia", there were annotations such as Dongsha Qundao (QUANDAODONG-SA), Xisha Qundao (QUANDAOTAY-SA) and Nansha Qundao (QUANDAONAM-SA) spelt in both Chinese and Vietnamese. And all the names therein used the transliteration of Chinese. In the 16th map, the "Map of Vietnam", the color of Xisha Qundao on the map is different from that of Vietnam. Instead, it was of the same color as China on the map. In the 1:10000000 Asia Political Map (single wall map for teaching purpose) published by the Hanoi State Bureau of Surveying and Mapping of Vietnam, there was such annotation as "Q. D. TAY-SA (TRUNGQUCC)" for Xisha Qundao, which meant "Xisha Qundao (China)", indicating it was belonging to China. On May 9, the Government of the Democratic Republic of Vietnam made a statement on the US Government's determination of the "combat zone" for the US army in Vietnam, pointing out that "US President Johnson has determined the whole Vietnam and the nearby sea area with a width of about 100 nautical miles beyond the Vietnamese coast, as well as a part of the territorial sea in Xisha Qundao belonging to the People's Republic of China as the combat zone for the US armed forces", "posing a direct threat to the security of the Democratic Republic of Vietnam and its neighboring country". The Vietnamese Government hereby once again explicitly recognized that Xisha Qundao was China's territory. On page 311 of World Gazetteer published by Tokyo Bookstore of Japan, it was stated that Xisha Qundao was returned to China after the Second World War. Taiwan authorities dispatched a detached squadron navy to Nanxi Jiao (Nanzi Dao), Beidong Jiao (Beizi Dao), Didu Dao (Zhongye Dao) and Nanyi Dao (Hongxiu Dao) to reestablish the boundary monument of China. On July 28, Malaysia released the Continental Shelf Act, declaring its outer continental shelf to be the 200 meter isobaths or the exploitation depth allowed. And "diggings" were established in both eastern and western sea area of Malaysia, and rented to foreign companies for prospecting and developing. In the map of "Asia" on page 102-103 of the World Atlas published by the Soviet Union, Dongsha Qundao, Xisha Qundao and Nanwei Dao were all spelt and written in Chinese. On page 105-106, there were annotations for Dongsha Qundao, Xisha Qundao and Nansha Qundao written in Chinese, which demonstrated that, Nanhai Zhudao was belonging to China. Malaysia designated a digging of over 80 thousand square kilometers in the sea area of the South China Sea, including Nankang Ansha, Haining Jiao, Beikang Ansha and Zengmu Ansha of China's Nansha Qundao in it. And it was rented to the Sarawak Shell Company, a subsidiary of the US Shell Corporation for oil drilling. On March 4, "the Administration Office of Xisha Qundao, Nansha Qundao and Zhongsha Qundao" was renamed "the Revolutionary Committee of Xisha Qundao, Nansha Qundao and Zhongsha Qundao of Guangdong Province." On October 27, Malaysia and Indonesia signed the Agreement between Indonesia and Malaysia on the Demarcation of the Two Countries' Continental Shelves in Kuala Lumpur. In May, the Chinese People's Liberation Army liberated Hainan Dao. The remains of the Kuomintang army retreated to Taiwan Dao. For Nansha Qundao and Xisha Qundao were a little bit far away from Taiwan Dao and was difficult to get supplies, and therefore, the Taiwan authorities decided to withdraw the garrison troops on Taiping Dao of Nansha Qundao and Yongxing Dao of Xisha Qundao back to Taiwan. As such, for a period of time, there was no one garrisoned on Taiping Dao and other Islands. On May 15, the Chinese People's Liberation Army landed on Yongxing Dao of Xisha Qundao. On May 17, the Philippine President Quirino alleged that Nansha Qundao "should belong to the nearest country; and the country nearest to the Tuansha Islands (editor's note: i.e. Nansha Qundao) is the Philippines". On May 20, the Chinese Government issued a statement pointing out: the Philippines as a provocateur as well as its supporter—the US, should abandon their risky plan, otherwise, the results would be very serious. The People's Republic of China will never allow Nansha Qundao as well as any other islands belonging to China in the South China Sea to be invaded by any foreign country. On August 15, before the convening of the San Francisco Conference, Foreign Minister Zhou Enlai, in his Statement on the United States-British Draft Peace Treaty with Japan and the San Francisco Conference, solemnly pointed out that "as a matter of fact, just like all Nansha Qundao, Zhongsha Qundao and Dongsha Qundao, Xisha Qundao (the Paracel Islands) and Nanwei Dao (Spratly Dao) have always been China's territory. Though they had been occupied by Japan for some time during the war of aggression waged by Japanese imperialism, they were all taken over by the then Chinese Government following Japan's surrender. The central government of the People's Republic of China do hereby declare that, whether or not the United States-British Draft Treaty contains provisions on this subject and no matter how these provisions are worded, the inviolable sovereignty of the People's Republic of China over Nanwei Dao (Spratly Dao) and Xisha Qundao (the Paracel Islands) will not be in any way affected." On September 4, the Peace Conference with Japan which was manipulated and presided by the United States opened in San Francisco with 52 participating countries. China, which had played the most important and decisive roles in the battles against Japan, however, was excluded from the peace conference. On September 5, Gromyko, Head of the Soviet Union Delegation made a statement on the conference, supporting Nansha Qundao, Xisha Qundao and Zhongsha Qundao as well as other islands concerned being returned to China. On September 8, with the ignorance of the Chinese government, the 48 victorious countries and the vanquished country, Japan, signed the Peace Treaty with Japan in San Francisco, the U.S. The second clause of the treaty provided that, "Japan shall relinquish all rights, grounds of rights or claims of rights". On September 18, Zhou Enlai, the Chinese Premier and Foreign Minister made a solemn statement on behalf of the Chinese Government as follows: "as the San Francisco Peace Treaty with Japan was not participated in, prepared, drafted or signed by the People's Republic of China, the Central Government of the People's Republic of China deems it as null and void, and therefore it absolutely will not be admitted." On April 28, the Taiwan authorities of China and Japan signed the Peace Treaty between the Republic of China and Japan, which provided in its second clause that "according to the second clause of the Peace Treaty with Japan (i.e. the San Francisco Peace Treaty) signed in San Francisco of the United States of America on September 8, 1951, Japan officially renounced all rights, title and claim to Taiwan and Penghu Islands as well as Nansha Qundao and Xisha Qundao". On May 5, Zhou Enlai, the Chinese Premier and Foreign Minister made a solemn statement on behalf of the Chinese government pointing out that "the Japanese government on one hand accepted the one-sided San Francisco Peace Treaty at the expense of the national interests of Japan, on the other hand, it took orders from the United States, colluded with the Komintang reactionaries to enter into the illegitimate Peace Treaty between Japan and Taiwan, which was hostile to the New China. And it claimed that the peace treaty applied to ‘all territories which are currently under the rule as well as will become under the rule of the Republic of China'. This is completely unbelievable and ridiculous...both the Chinese people and the Chinese Government will not admit the illegitimate ‘Peace Treaty between Japan and Taiwan'". In the 15th map of the Standard World Atlas published by the Japanese State Education and Books Joint-stock Company, the map of "South east Asia", the drawing of Nanhai Zhudao is the same as that of the map published in China. Both mark the People's Republic of China within the dotted line, and use Chinese to spell Dongsha Qundao, Xisha Qundao, Zhongsha Qundao and Nansha Qundao. On the title page of this atlas, there is signature of the then Japanese Foreign Minister Katsuo Okazaki. In the 168th and 169th map of the Macropaedia of the Soviet Union published by the Soviet Union, the map of "China", there was such annotation as "Xisha Qundao (Paracel) (China)" and "Nansha Qundao (China)", which indicated that both Xisha Qundao and Nansha Qundao belong to China. On June 30, France sent five warships and a transport ship carrying about one hundred navy personnel and workers to land on Chenhang Dao, Jinqing Dao, Ganquan Dao and the Antelope Jiao, and set up navigation marks illegally. In the 9th map of the World Atlas Magnus published by the Munich Iiro Publishing House of the West Germany, there were such annotations as "the Paracel Islands (Xinnan-HIRATA, China)" and "the Spratly Islands (i.e. the storm islands) (China)", which indicated that both Xisha Qundao and Nansha Qundao belong to China. In January, the Public Cartographic Publishing House published the Administrative Map of the People's Republic of China, making partial adjustment to the dotted line of the South China Sea: removing two sections between the Hainan Dao and the Vietnamese coast, and adding one more section between Taiwan Dao and Ryukyu Islands, thus forming the basic pattern of the nine-dotted line in the South China Sea and one-dotted line on the east coast of Taiwan Dao. On March 7, the Philippines presented a note to the UN Secretary General as per the draft provisions of the Law of the Sea proposed by the International Law Commission, declaring the islands status of the Philippines. In the note, it was proposed that the water area within the straight baselines connecting each and all outermost points of the Philippines be the internal waters of the Philippines. And the sea area within the range line of the Philippines as provided by the Paris Peace Treaty between the United States and Spain in 1898, the Washington Complementary Treaty between the United States and Spain in 1900 as well as the United States-British Treaty in 1930. From May to June, the Hainan Administrative Region set up a team of survey and prospecting of Xisha Qundao to carry out prospecting and survey work on Xisha Qundao. On June 11, the French Warship L9006 arrived in Yongxing Dao of Xisha Qundao, alleging the Dao being the territory of France, and forcing the Chinese fishermen stationed on the Dao to leave. And before they left the Dao, the French army even destroyed the monument symbolizing the Chinese sovereignty on the Dao. On October 27, the first ICAO Conference on the Flights in the Pacific Region was held in Manila. Representatives from the United States, the United Kingdom, France, Japan, Canada, Australia, New Zealand, Thailand, the Philippines, the South Vietnam and the Taiwan authorities of China attended the conference. In the 24th resolution passed on the conference, it was requested that the Taiwan authorities of China should enhance meteorological observation over Nansha Qundao (4 times each day). And none of the participants attending the conference made any objections or reservations about it. In the 2A map of the Altas International Larousse Politiqueet Economique published by France, there was such annotation as "Xisha Qundao (China)". And in the 13B map, the map of "Southeast Asia", there were such annotations as "Dongsha Qundao (Pratas) (China)", "Xisha Qundao (the Paracel Islands) (China)" and "Nansha Qundao (Spratly Islands) (China)", which indicated that the above-mentioned Islands all belong to China. From March to August, on the excuse of taking over the French sovereignty, the South Vietnam army occupied Chenhang Dao, Ganquan Dao and other islands of Xisha Qundao in batches. In April, Guangdong Province and Hainan Administrative Region organized a Team for the Survey of Aquatic Resources on Xisha Qundao and Nansha Qundao, and set up a central station on Yongxing Dao. More than 200 people were stationed on the Dao, and grocery, public health center, club as well as power station were set up on the Dao. On May 15, the president of the Philippine Maritime School Thomas Cloma published the so-called A Declaration to the World, claiming that since March 1, he had led the students of the maritime school to "explore" on the sea area of Nansha Qundao. And they "discovered and occupied" 33 islands, reefs, shoals and cays and fishing areas, and landed on 9 islands and reefs including Taiping Dao, Nanwei Dao, Zhongye Dao, Hongxiu Dao, Nanyao Dao, Xiyue Dao, Nanzi Jiao, Beizi Jiao as well as Dunqian Shoal. And he had named this area as "freedom land" (Kalayan in Tagalog). And the headquarters of the "freedom land" were located in the maritime school. On 17, Cloma wrote a letter to Ministry of Foreign Affairs of the Philippines, requesting the admittance of his ownership of the "freedom land". On May 19, the Vice President and Foreign Minister of the Philippines Garcia, made a preoccupied sovereignty statement, publicly announcing that the Philippines had discovered islands "belonging to nobody and having no residents" in the South China Sea, and that the islands in the South China Sea including Taiping Dao and Nanwei Dao, "should" belong to the Philippines. On May 29, the Chinese Ministry of Foreign Affairs made a statement with regard to the Philippine Government's attempting to infringe China's sovereignty over Taiping Dao and Nanwei Dao of Nansha Qundao, pointing out that "the above-mentioned Taiping Dao and Nanwei Dao in the South China Sea, together with some nearby islets are collectively called as Nansha Qundao. These islands have been part of China's territory. And the People's Republic of China has indisputable and legitimate sovereignty over these islands." On June 1, the Ministry of Foreign Affairs of the Saigon regime of South Vietnam published a communiqué, asserting its sovereign rights over Xisha Qundao and Nansha Qundao, and specially emphasizing that the right of jurisdiction over these two islands of France had never aroused any controversy, and Vietnam had taken over the right of jurisdiction following its independence. From June 2 to 14, the navy of China Taiwan authorities carried out "Liwei Cruising" over 27 islands and reefs on the South China Sea, and landed on Taiping Dao, Nanwei Dao as well as Xiyue Dao and found no foreigners residing thereon. Upon its landing, it smeared the inscriptions left by the invaders and re-erected a monument declaring sovereignty. A solemn flat-raising ceremony was held to declare China's sovereignty mightily. On June 9, the Charge d'Affaires ad interim of French Embassy in Manila presented a note to the vice-president of the Philippines Garcia, alleging that France had never hand over Nansha Qundao to the Republic of Vietnam. So Nansha Qundao should be part of the territory of France. On June 15, during a meeting with chargé d'affaires ad interim Li Zhimin of the Chinese Embassy to Vietnam, Vice Foreign Minister of the Democratic Republic of Vietnam Ung Van Khiem solemnly stated that, "according to Vietnamese data, Xisha Qundao and Nansha Qundao are historically part of Chinese territory." Le Loc, Acting Director of the Asian Department of the Vietnamese Foreign Ministry, who was present, specifically cited Vietnamese data and pointed out that, "judging from history, these islands were already part of China at the time of the Song Dynasty." From July 6 to 26, the navy of China's Taiwan authorities carried out "Weiyuan Cruising", transporting troops back to garrison on Taiping Dao, and landing on 9 islands and reefs including Zhongye Dao to clear away the signs illegally left by other countries. On July 11, more than 100 officers and soldiers of the Taiwan's military got on and garrisoned Taiping Dao of Nansha Qundao once again. On July 7, upon the notice of the Ministry of Foreign Affairs of the Philippines, Thomas Cloma led 3 students of his maritime school to return a banner of China Taiwan he removed from Taiping Dao to the China Taiwan authorities' "Embassy" in the Philippines and made apologies. On August 30, the People's Daily published the article titled "A Warning to Ngo Dinh Diem and His Administration", sending a solemn warning to the South Vietnam authorities as per its establishing emblems of sovereignty on China's Nansha Qundao. From September 24 to October 5, the navy of China Taiwan carried out "Ningyuan Cruising" over 21 islands and reefs on the South China Sea, intercepting and examining a ship of the Cloma Maritime School of the Philippines. During the interrogation, they confessed that their ship's entering the sea area of Nansha Qundao was "individual behavior", a "personal visit" to the Taiping Dao. On October 22, with the "NV Presidential Order No. 143", the South Vietnam Regime illegally included Nansha Qundao into the jurisdiction of Phuoc Tuy Province of Vietnam. In the book Geography of Vietnam published by Vietnam, in referring to the geographical scope of Vietnam it pointed out that "Vietnam is located in the south east Asia, to the east of the Indochina Peninsula. It covers an area from 8°35'N to 23°24'N, and from 102°8'E to 109°30'E". Nanhai Zhudao including Nansha Qundao was not included in the territorial scope of Vietnam as described therein. 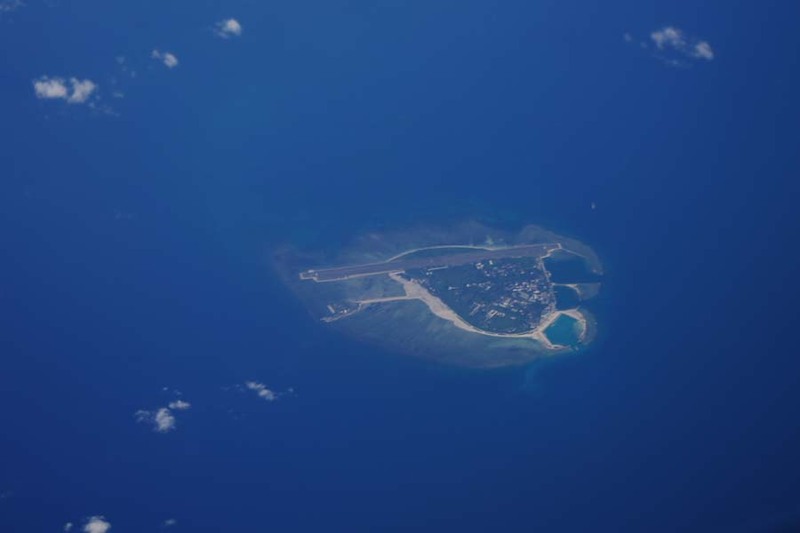 In May, on the excuse of carrying out so-called "navigation works", the US Army occupied three islands of China's Nansha Qundao, and set up radar stations thereon. On May 13, Thomas Cloma and others intruded into Nanzi Jiao of China's Nansha Qundao once again. On June 3, Chen Zhimai, the China Taiwan authorities' "Ambassador" to the Philippines sent a diplomatic note to the Foreign Ministry of the Philippines, protesting against the action of Thomas Cloma's leading others to land on and attempting to migrate to Nanzi Jiao of Nansha Qundao. On July 1, the Xisha Meteorological Station of Guangdong Province was established and the station was located at the Xuande Road, Yongxing Dao of Xisha Qundao. Later, this Meteorological Station changed its name to the Southwest Zhongsha Qundao Meteorological Observatory of Guangdong Province in February 1975. On September 4, the Standing Committee of National People's Congress of China passed the "Declaration of The Government of The People's Republic of China on China's Territorial Sea", in which it is stated that "the breadth of the territorial waters of the People's Republic of China shall be 12 nautical miles. This provision applies to all the territories of the People's Republic of China including Taiwan and its surrounding islands, Penghu Islands, Dongsha Qundao, Xisha Qundao, Zhongsha Qundao, Nansha Qundao as well as other islands belonging to China." On September 9, the government of the Soviet Union presented a note to the Chinese government, stating that the former complete respected China's decision about its territorial sea. On September 14, Premier Pham Van Dong of the government of Vietnam sent a diplomatic note to Premier Zhou Enlai of the State Council of China, solemnly stating that "the government of the Democratic Republic of Vietnam recognizes and supports the declaration of the government of the People's Republic of China on its decision concerning China's territorial sea made on September 4, 1958. And the government of the Democratic Republic of Vietnam respects this decision and has instructed the responsible government agencies to strictly follow the provision that the breadth of the territorial waters of China shall be 12 nautical miles whenever and whatever happens on the sea in relation to the People's Republic of China." This diplomatic note was at the meantime published on Nhân Dân, the official newspaper of the Central Committee of Vietnamese Communist Party, on September 22. On February 22, the Vietnamese Navy once again intruded the Chenhang Dao of China's Xisha Qundao, unreasonably tearing up and humiliating the national flag of China, plundering and maltreating the Chinese fishermen. On February 25, the China Taiwan authorities published A Position Paper on Xisha Qundao, elaborating on the historical, legal and other facts about Xisha Qundao's being part of China's territory. On February 27, the Chinese Ministry of Foreign Affairs made a statement that "the South Vietnam authorities should immediately release and compensate for all the losses of the Chinese fishermen being captured by them, and stop any activity violating China's territorial sovereignty right away!" On March 17, the Nanning Frigate (Frigate No. 172) and the Luzhou Submarine Chaser (Subchaser No. 153) of the PLA Navy South Sea Fleet carried out patrol mission over sea area of Xisha Qundao for the first time. On March 24, the Hainan Administrative Region set up, on Yongxing Dao of Xisha Qundao, "the Administration Office of Xisha Qundao, Nansha Qundao and Zhongsha Qundao". On June 27, China and Vietnam signed the Protocol on China and Vietnam's Cooperation in Carrying out Comprehensive Marine Survey on Beibu Gulf. According to this protocol, the China-Vietnam Team of Marine Survey on Beibu Gulf co-funded by China and Vietnam, carried out comprehensive marine survey on the Beibu Gulf from September 1959 to the end of 1960, which played an important role in promoting the development of the fishery, shipping and marine scientific research causes for both countries. After the Revolution of 1911, Guangdong Provincial Government declared that Xisha Qundao be put under the jurisdiction of Yaxian County (today's Sanya City) of Hainan Island. In December 1914, in the chart of the New Geographical Charts of the Republic of China published by Shanghai Yadong Library, the Chart of China's Territory before the Reign of Emperor Qianlong and Emperor Jiaqing of the Qing Dynasty, the peripheries of Dongsha Qundao and Xisha Qundao within the South China Sea Area were marked with scope lines, including Dongsha Qundao and Xisha Qundao into the scope of China's territory. In 1917, some Chinese businessmen filed an application for collecting phosphorus and marine products in Xisha Qundao to the governor's office of Guangdong Province, a sketch was attached. In 1921, the Ministry of the Interior of the government of the Republic of China approved He Ruinian, a businessman from Guangdong Province, to set up industries such as fishery, aquaculture and mining on Xisha Qundao. Later it was found out that He Ruinian had gone so far as transferring his right of operation to some Japanese businessmen, thus his right of operation was canceled. On August 22, 1921, Aristide Briand, French prime minister and foreign minister said, "since the Chinese government had asserted its sovereignty in 1909 (refers to Li Zhun's inspection tour over Xisha Qundao), it is impossible for us to assert claims over these islands (Xisha Qundao)". In November 1927, the Surveying Bureau of Guangdong Army of the Republic of China drew the maps of Xisha Qundao. In May 1928, the Guangdong Provincial Government of the Republic of China dispatched a survey team consisting of military officer, government officials and technological experts to carry out field surveys of Xisha Qundao by taking the "Hai Rui" ship. And the team was required to submit a detailed survey report. In the year of 1929, the French colonial authority instructed its officials to collect various materials, attempting to cobble up some so-called historical evidences to invade China's Xisha Qundao and got nothing. Therefore, the acting viceroy of France in Indochina had to admit that, "according to reports from various sources, the Paracel Islands (i.e. Xisha Qundao) shall be deemed as belonging to China." On January 2, 1930, the UK and the US signed the Treaty on the Demarcation of border between the British North Borneo and US Philippines (i.e. the US-UK Treaty). The North Borneo was located on the northeast of Borneo Island, i.e. today's Sabah of eastern Malaysia, and Nansha Qundao was to the north of it. So, this treaty has nothing to do with the ownership of Nansha Qundao. In April 1930, the Meteorological Conference of the Far East, which was held in Hong Kong and participated by representatives from China, France, the Philippines and the China's Hong Kong Authorities, had passed a resolution requesting the Chinese Government to set up a meteorological observatory on Xisha Qundao. None of the participating representatives raised any objection. On April 13, 1930, the French invaders sent the Mauricio gunboat to invade China's Nanwei Dao. On December 4, 1931, taking advantage of the occasion when Japan was invading the northeast of China, the French government sent a note to the Chinese legation in France, claiming that Annam (old name for Vietnam) had the so-called "Vorhabe right" over Xisha Qundao, brazenly raising territorial claims over these islands. On July 26, 1932, the Chinese Government presented a note to the Foreign Ministry of France and rejecting the French Government's territorial claims over Xisha Qundao by pointing out that Xisha Qundao had long been under the jurisdiction of China. On November 30, 1932, Zhu Zhaoshen, an inspection commissioner of Foreign Ministry of the Chinese Government had solemnly pointed out in his official letter to the consul of French Consulate in Guangzhou that, "it is indeed without a doubt that Xisha Qundao is part of China's territory". In April 1933, France occupied the islets near the Nanwei Dao of the China's Nansha Qundao. Yet at that time, France did not announce the news of its occupying of Nansha Qundao and Reefs immediately. On June 7, 1933, The National Committee for the Examination of the Land and Sea Maps, which was composed of representatives of the Ministry of Foreign Affairs, Ministry of the Interior, Ministry of the Navy and other institutions of the Republic of China, reviewed and approved the names of individual islands, reefs, shoals and cays of China's Nanhai Zhudao. On July 25, 1933, France announced its occupation of the 9 islands of Nansha Qundao (including Nanwei Dao, Taiping Dao, Zhongye Dao, Nanyao Dao, Beizi Dao, Nanzi Dao, Hongxiu Dao, Anbo Shazhou and Yangxin Shazhou) taking "they were ownerless lands" as an excuse. This is the "Incident of France's Occupation of the Nine Islets". However, when the French ships landed on the Dao, there were already Chinese fishermen living on the Dao and Chinese slogans could be found on the Dao. On July 26, 1933, the spokesperson for the Ministry of Foreign Affairs of the Republic of China made a statement, "on the coral Islands between the Philippines and Annam, there were just Chinese fishermen living there. Thus they are regarded as China's territory in the international community. Yet we are so surprised to know from some official reports of the French side just now, that France has officially announced its occupation of them. What kind of basis do they have to make such an announcement? The French government hasn't published its reason. So the Ministry of Foreign Affairs has called our Embassy in France to inquire about the actual situation. Besides, currently, both the Ministry of Foreign Affairs and the Ministry of the Navy are proactively working on ways of coping with this situation, and have lodged a strong protest against such act of the French government." In January 1935, The National Committee for the Examination of the Land and Sea Maps, which was composed of representatives of the Ministry of Foreign Affairs, Ministry of the Interior, Ministry of the Navy and other institutions of the Republic of China, reviewed, approved, and published the Chinese and English Places Names Table of the Islands in the South China Sea, which included names for 132 Islands and reefs (among them, 29 were in Xisha Qundao, 96 were in Nansha Qundao). In April 1935, the Navy Hydrographic Bureau of the Republic of China completed the field surveying of Nanhai Zhudao, and The National Committee for the Examination of the Land and Sea Maps reviewed and published Zhong Guo Nan Hai Ge Dao Yu Tu (Map of the South China Sea Islands of China), clearly indicating the specific names and locations of the 135 islands and reefs of Nanhai Zhudao including Nansha Qundao. In September 1937, the Japanese invaded China's Dongsha Qundao. From November 1938 to March 1939, the Japanese invaded China's Xisha Qundao. On March 30, 1939, the Japanese expelled the stay-behind personnel of France, and occupied Tuansha Qundao (i.e. Nansha Qundao). On April 9, 1939, Japan announced its occupation of 3 Islands including the Tuansha Qundao, and changed the name of Tuansha Qundao into "Xinnan Qundao". The Office of Governor-general of Taiwan declared with the No.122 official notice that it had jurisdiction over the "Xinnan Qundao", together with Xisha Qundao and Dongsha Qundao. And it was incorporated into Gaoxiong City. In December 1943, China, the US and the UK issued the Cairo Declaration. It was provided that Japan should return the Chinese territory including Nanhai Zhudao and the provision went as follow, "all the Islands that Japan acquired or occupied in the Pacific since the outbreak of the First World War in 1914 be restored to the countries that originally own them, and all the territories Japan had stolen from the Chinese, such as Manchu, Taiwan, and Penghu Islands shall be restored to China". Nanhai Zhudao was occupied by Japan during the Japanese War of Aggression against China. According to the provision of Cairo Declaration, they should of course be returned to China. On July 26, 1945, China, the United States and the United Kingdom issued the Potsdam Proclamation that urged Japan to surrender. That Proclamation emphasized that "the terms of the Cairo Declaration shall be carried out. And the sovereignty of Japan shall be limited to Honshu, Hokkaido, Kyushu, Shikoku and other islets determined by the three of us". On November 24, 1946, the two warships to take over Xisha Qundao, namely Yongxing Ship and Zhongjian Ship, which were led by Yao Ruyu, arrived at the Wude Dao. The name of this Dao was changed to Yongxing Dao in memory of the taking-over warship, the Yongxing Ship. And a monument engraved with Nan Hai Ping Fan (The barrier of the South Sea) was erected to commemorate the Navy's taking over of Xisha Qundao. On December 12, 1946, the Taiping Destroyer and the Zhongye Tank Landing Ship to take over Nansha Qundao, which were led by the Commander-in-chief Lin Zun, arrived at Changdao Dao, the main Dao of Nansha Qundao. And the name of this Dao was changed to Taiping Dao in memory of the taking-over ship, the Taiping Destroyer. And a stone monument engraved with "Taiping Dao of Nansha Qundao" was erected there. On December 14, a flag-raising ceremony was carried out by the Navy officers and soldiers who had entered and would be stationed on the Dao as well as representatives of different ministries and Guangdong Provincial Government. On December 1, 1947, the Ministry of the Interior of the Republic of China officially published the Table of Old and New Names of Nanhai Zhudao. In this table, "Nan Hai Ge Dao Yu" was changed to "Nanhai Zhudao". One of the two "Dong Sha Dao" was changed to "Dong Sha Qun Dao (Dongsha Qundao)". Tuan Sha Qun Dao was changed to Nan Sha Qun Dao (Nansha Qundao), and Nan Sha Qun Dao was changed to Zhong Sha Qun Dao (Zhongsha Qundao). 172 place names of Nanhai Zhudao were reviewed and re-approved. In December 1947, the Nan Hai Zhu Dao Wei Zhi Tu (the Location Map of Nanhai Zhudao) was drew by the Department of Administrative Regions & Borders of the Ministry of Interior, and published by the Survey Bureau of the Ministry of National Defense of the Republic of China. In February 1948, the Department of Administrative Regions & Borders of the Ministry of Interior of the Republic of China published the Zhong Hua Min Guo Xing Zheng Qu Yu Tu (the Maps of Administrative Regions of the Republic of China) and the Nan Hai Zhu Dao Wei Zhi Tu (the Location Map of Nanhai Zhudao) was attached. In this attached map, the South China Sea dotted line consisting of 11 sections of line was marked out starting from the Beilun Estuary of the China-Vietnam Border in the west, to the northeast of Taiwan in the east. Within the line, Dongsha Qundao, Xisha Qundao, Zhongsha Qundao and Nansha Qundao were all marked out, so did the names of Zengmu Ansha (James Shoal) and the majority of the Islands and reefs. The southernmost of the dotted line was marked at about 4ºN. On January 21, 1949, the Republic of China officially set up Hainan Special Administrative Region directly under the Executive Yuan. This Special Administrative Region included Hainan Dao, Dongsha Qundao, Xisha Qundao, and Zhongsha Qundao, Nansha Qundao as well as their affiliated Islands and the sea area. On April 13, 1949, with the No. 2973 official letter, Chen Zhi-ping, the Chinese Minister to the Philippines made representations to the Foreign Ministry of the Philippines on the cabinet council of the Philippine government's decision of dispatching Rear-admiral Jose V. Andrada to "inspect" Taiping Dao of Nansha Qundao and plotting to relocate immigrants there. It was stated that Taiping Dao was China's territory. The Vice Foreign Minister of the Philippines Felino Neri replied by a letter claiming that "the cabinet was just discussing that more protection should be given to the Philippine fishermen who were reportedly conducting activities (editor's note: fishing) in the nearby water areas of the Itu Aba Dao (editor's note: i.e. Taiping Dao)". It was confirmed that the Philippines did not have sovereignty claims over Taiping Dao. The book Zhi Nan Zheng Fa (the Orthodox Principles about How to Use a Compass) compiled in the early Qing Dynasty had records about the "Wanli Changsha" and the "Wanli Shitang". Herein, the "Wanli Changsha" refers to Nansha Qundao, while the "Wanli Shitang" refers to Xisha Qundao. In 1678AD (the 17th year of Emperor Kangxi's reign of the Qing Dynasty), the Wan Zhou Zhi (Chorography of Wanzhou) compiled by Li Yan recorded that "in Wanzhou, there are Qianli Shitang and Wanli Changsha". It demonstrated that at that time Xisha Qundao and Nansha Qundao were under the jurisdiction of Wanzhou, Qiongzhou Prefecture, Guangdong Province (in today's Wanning County and Lingshui County of Hainan Province). 1710AD-1712AD (From the 49th year to the 51st year of Emperor Kangxi's reign of the Qing Dynasty): The Chorography of Quanzhou Prefecture during the reign of Emperor Qianlong of the Qing Dynasty recorded that Wu Sheng, deputy governor of Guangdong Naval Forces once headed the naval forces to patrol the sea territory. "From Qiongya, via Tonggu, to Qizhouyang and Sigengsha, of all the surrounding three thousand li, he made the inspection tour in person". Herein, the so-called "Qizhouyang" is today's sea area around Xisha Qundao, the patrol task of which was undertaken by the Naval Forces of Guangdong. 1724AD-1817AD (from the 2nd year of Emperor Yongzheng's reign to the 22nd year of Emperor Jiaqing's reign of the Qing Dynasty): The government of the Qing Dynasty had drew Nanhai Zhudao in authoritative maps, and exercised jurisdiction over Nanhai Zhudao. Many maps such as Tian Xia Zong Yu Tu (General Map of Geography of the All-under-heaven) of Qing Zhi Sheng Fen Tu (Map of the Provinces Directly under the Imperial Qing Authority) in the year of 1724 (the 2nd year of Emperor Yongzheng's reign), the Tian Xia Zong Yu Tu (General Map of Geography of the All-under-heaven) of Huang Qing Ge Zhi Sheng Fen Tu (Map of the Provinces Directly under the Imperial Qing Authority) in the year of 1755 (the 20th year of Emperor Qianlong's reign), the Da Qing Wan Nian Yi Tong Tian Xia Quan Tu (Map of the Eternally Unified All-under-heaven of the Great Qing Empire) in the year of 1767 (the 32nd year of the Emperor Qianlong's reign), the Da Qing Wan Nian Yi Tong Di Li Quan Tu (Map of the Unified All-under-heaven of the Great Qing Empire) in the year of 1810 (the 15th year of Emperor Jiaqing's reign) and the Da Qing Yi Tong Tian Xia Quan Tu (Map of the Unified All-under-heaven of the Great Qing Empire) had universally included Nanhai Zhudao into the territory of China. In the year of 1730 (the 8th year of Emperor Yongzheng's reign of the Qing Dynasty), the book Hai Guo Wen Jian Lu (Records of Things Seen and Heard about the Coastal Regions) by Chen Lunjiong recorded that, "to Wanzhou of Qionghai, it is called as Wanli Changsha". And in its attached map Si Hai Zong Tu (the General Map of the Four Seas), place names such as "Qi", "Shatou", "Changsha", "Qizhouyang" and "Shitang" were marked out. Herein, "Qi" and "Shatou" refers to Dongsha Qundao, "Changsha" refers to Zhongsha Qundao, "Qizhouyang" refers to Xisha Qundao, and "Shitang" refers to Nansha Qundao. In the year 1838 (the 18th year of Emperor Daoguang's reign of the Qing Dynasty), in the book Yang Fang Ji Yao (A Summary of Coastal Defense), Nanhai Zhudao was drew and indicated in the Zhi Sheng Hai Yang Zong Tu (the General Chart of the Sea of Different Provinces). And "Jiuru Luozhou" and "Shuang Fan Shi" which referred to Xisha Qundao, were explicitly drew and indicated in Guang Dong Yang Tu (Map of the Sea of Guangdong Province) as part of China's coastal defense area. In the year of 1841 (the 21st year of Emperor Daoguang's reign of the Qing Dynasty), in the Chorography of Qiongzhou Prefecture which was compiled by Zhang Yuesong entrusted by the magistrate of Qiongzhou Prefecture Ming Yi, it was clearly recorded that, "in Wanzhou, there are ten hundred li's Shitang and ten thousand li's Changsha, where are the most dangerous places in the ocean of Qiongzhou." The book also recorded that barracks of the assisting naval forces of Yazhou was established in the southern part of Hainan Dao. The sea areas over which they patrolled had gone as far as the ocean of Siam and Champa (the central part of today's Vietnam). In the year of 1842 (the 22nd year of Emperor Daoguang's reign of the Qing Dynasty), entrusted by Lin Zexu, Wei Yuan compiled the book Hai Guo Tu Zhi (the Atlas and Annals of Overseas Countries). In the Yuan Tu (Circle Chart) in volume II of the above-mentioned book, it marked out place names such as "Wanli Changsha", "Qianli Shitang" and "Qizhouyang", which referred to Zhongsha Qundao, Nansha Qundao and Xisha Qundao of Nanhai Zhudao respectively. In the year of 1868 (the 7th year of Emperor Tongzhi's reign of the Qing Dynasty), the book A Guidebook on China Sea compiled by the Sea Chart Bureau of British Admiralty had documented the Chinese fishermen's activities on Nansha Qundao. At Zhenghe Qunjiao (Tizard Banks) there were "fishermen of Hainan Province living by catching sea cucumbers and conches. Their footprints can be found on each and every island. Some even reside among the reefs for a long time. Every year, there will be small boats from Hainan sailing towards the island. Grains and other necessities of life will be brought in exchange for sea cucumbers and conches with the fishermen. The boat leaves Hainan every December or January, and returns as the occurrence of the first southwest wind. 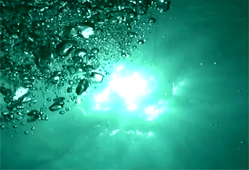 The spring water on the island of Itu Aba (Taiping Dao) is better than that of elsewhere." In the year of 1876 (the 2nd year of Emperor Guangxu's reign of the Qing Dynasty), in the book Shi Xi Ji Cheng (Memoir of a Mission to the West) written by Guo Songtao, minister of the Qing Government to Britain, it recorded that "on the high noon of 24, we have travelled for 831 li (1 li =0.5 kilometer). We are now at 17º30'N of the equator, I supposed about 200 or 300 li to the south of Qiongzhou. The boatman called it Qinaxi (China Sea), which seems to mean the ocean of China...nearby it is Paracel Dao (i.e. Xisha Qundao), where corals are with poor quality. It is an island belonging to China." Around 1880 (during the reign of Emperor Guangxu of the Qing Dynasty), the General Chart of the Coast of Eight Provinces-the Chart of Shitang Reefs had given a description of "Shitang reefs of Badasi Dao, Hainan, Chaozhou, Guangdong Province" (today's Dongsha Qundao). Herein, "Badasi" is the transliteration of Pratas. In the chart, there is an annotation goes as "therefore, it had been under discussion that a light beacon be established in both the southeast and northeast corner of Shitang, and a light tower be built on the island, so that ships coming here would be aware of keeping off." Planning to build a light tower showed that the Government of the Qing Dynasty had exercised jurisdiction over the Shitang Reefs. On June 26, 1887 (the 13th year of Emperor Guangxu's reign of the Qing Dynasty), the Chinese government and the French government (representing Vietnam) signed the China-France Special Treaty of Further Discussion on Border Affairs. On December 10, 1898, the US and Spain signed the Treaty of Peace between the US and Spain (abbr. US-Spain Paris Treaty) in Paris. The third clause of this treaty provided that, Spain shall cede all the islands generally known as the Philippine Islands to the US. According to this treaty, the western border of the Philippine territory was as follow: starting from the intersection of 4°45'N and 119°35'E and goes northwards until 7°40'N. And then move westwards along this line of latitude to the intersection with 118°E. Then move northwards along the meridian line of 118°E to the intersection with 20°N. China's Huangyan Dao (Scarborough Shoal) and all the islands and reefs of Nansha Qundao were not included in the ceded islands described in this treaty. On November 7, 1900, the US and Spain signed the Treaty between Spain and the US for the Cession of the Outlying Philippine Islands (i.e. the US-Spain Washington Treaty of 1900) in Washington. It provided that Spain will cede to the US all the ownership and other rights over any and all islands which were parts of the Philippine islands but beyond the border line as described in the third clause of the Paris Treaty that Spain might have at the time when the said Treaty was being signed. It shows that Nansha Qundao and Huangyan Dao were not included as parts of the Philippine islands for they are not included in the scope of islands as described in this treaty. In April 1909 (the 1st year of Emperor Xuantong's reign of the Qing Dynasty), Zhang Renjun, the governor of Guangdong and Guangxi ordered Li Zhun, the commander-in-chief of Guangdong Naval Forces to head naval officers and soldiers, about 170 people, to cruise and inspect over Xisha Qundao, boarding three warships namely, the Fubo ship, the Guangjin Ship and the Chenhang Ship respectively. He found out 15 islands, named them and engraved stones to record this. He also hoisted flag and fired a salvo on the Yongxing Dao to declare sovereignty. According to historical records, as early as the 2nd century BC, during the reign of Emperor Wu of the Han Dynasty, the Chinese people had already conducted navigation on the South China Sea. And they had discovered Xisha Qundao and Nansha Qundao in their long-time navigation and production practices. In the early 2nd century, Yi Wu Zhi (Annals of Unusual Things) by Yang Fu, recorded that "around the Qitou of Zhanghai (literally means the sea of rising tides), the water is shallow, and it is abundant in lodestones". Therein, Zhanghai was how the Chinese people called the South China Sea back then. It was so named because of the frequent occurrence of rising tides there. And Qitou referred to the islands, reefs, cays and shoals of Nanhai Zhudao including Xisha Qundao and Nansha Qundao. In Nan Zhou Yi Wu Zhi (Annals of Unusual Things from the Southern Regions) by Wan Zhen, the prefecture chief of Danyang in the State of Wu during the Three Kingdoms Period, and it gave an account of the navigation routes from Malaya to Chinese mainland in the Han Dynasty. And the narration went as "...to the northeast, a very huge Qitou emerges from Zhanghai, wherein the water is shallow and abundant in lodestones." Herein, the lodestones refer to the then-still-submerged shoals and reefs in Nanhai Zhudao. They were called as lodestones because ships that ran into these submerged reefs would be stranded, unable to move away. In the early 3rd century, Kang Tai and Zhu Ying, generals of the State of Wu were dispatched to neighboring kingdoms such as Funan (today's Cambodia and its surrounding area). In Fu Nan Zhuan (An Account of Funan) written by them, it gave a very accurate description on the form of Nanhai Zhudao as well as its causes of formation as follows: "in Zhanghai, to the corals shoal, there is Pangaea at the bottom of the shoal, upon which the corals grow". 789AD (the 5th year of Emperor Zhenyuan's reign of the Tang Dynasty): according to what Zhao Rushi, supervisor of Maritime Trade Bureau of Quanzhou, Fujian in the Southern Song Dynasty recorded in his book Zhu Fan Zhi (Annals of Foreign Countries) written in the year 1225, "...in the 5th year of Emperor Zhenyuan's reign of Tang Dynasty, Qiongzhou was established as Du Fu (a commandery), and today this practice carries on as befo...to Jiyang (today's Sanya City), it is the border of the sea, neither lands nor intertidal zones can be found here. [Beyond the port of Quanzhou,] there are two islands, one called Wuli and the other Sujilang. To the south, there lies Champa; to the west, Chân Lạp. To the east, there are thousands of li's Changsha and Shichuang where the sea and the sky merge." It recorded that today's Hainan was set up as a Commandery in the Tang Dynasty, and a description on Nanhai Zhudao was given therein. 1044AD (the 4th year of Emperor Qingli's reign of the Song Dynasty): in Wu Jing Zong Yao (Outline Record of Military Affairs) with an introduction by Emperor Renzong of Northern Song Dynasty, it records that the imperial court of Northern Song Dynasty "ordered the imperial army to garrison the border, and established barracks for the sea-patrolling naval forces" in Guangnan (today's Lingnan area), "stored salted fishes in the naval ships", "moved towards southwest from Tunmen Mountain using the east wind, and arrived Jiuru Luozhou (today's Xisha Qundao) within seven days". It demonstrated that the imperial court of the Northern Song Dynasty had included Xisha Qundao into its jurisdiction, and sent naval "battle ships" to patrol there. 1225AD (the 1st year of Emperor Baoqing's reign of the Song Dynasty): in the forewords of Zhu Fan Zhi (Annals of Foreign Countries) written by Zhao Rushi, supervisor of Maritime Trade Bureau of Quanzhou, Fujian of the Southern Song Dynasty, it mentioned about a chart marking out Nanhai Zhudao, Zhu Fan Tu (A Map of Foreign Countries), and said that this map "has marked out the strategically important places such as the so-called Shichuang/tang (rocky reefs) and Changsha (long sand cays)". 1293AD (the 30th year of Emperor Zhiyuan's reign of the Yuan Dynasty): according to the records of History of Yuan Dynasty-the Biography of Shi Bi, in the early 30th year of Zhiyuan reign, Shi Bi, a general of the Yuan Dynasty led ten hundreds of naval ships, "starting from Quanzhou...across Qizhouyang, Wanli (ten thousand li) Shitang, and passed by the boundary of Jiaozhi and Champa". It documented the naval forces of Yuan Dynasty had carried out patrol mission and exercised jurisdiction over Nanhai Zhudao. 1349AD (the 9th year of Emperor Zhizheng's reign of the Yuan Dynasty): in Dao Yi Zhi Lüe (Brief Annals of Foreign Islands) written by Wang Dayuan, a navigator of the Yuan Dynasty, it recorded that "The skeleton of Shitang originated from Chaozhou. Meandering like a serpent across the vast sea, and passing many a maritime country, it is commonly called Wanli Shitang (ten thousand-li rocky reefs)... the geographical position is readily intelligible. In one direction, it spreads to Java. In a second one, it spreads to Borneo and Timor. In a third one, it spreads to the land of Kunlun (refers to China) region beyond the Western Ocean." Herein, the "Wanli Shitang" refers to Nanhai Zhudao including Nansha Qundao. In 1402AD, in the Hun Yi Jiang Li Li Dai Guo Du Zhi Tu (A Universal Map Marked with the Capitals of Different Times) drew by a Korean named Li Hui based on the maps of the Yuan Dynasty of China, it marked the names of Shitang, Changsha and Shitang successively in the South China Sea from northeast to the southwest. Judging by the locations marked in the map, the first Shitang refers to Dongsha Qundao, Changsha refers to Xisha Qundao, and the second Shitang refers to Nansha Qundao. In 1403AD (the 1st year of Emperor Yongle's reign of the Ming Dynasty), a book titled Shun Feng Xiang Song (Bon Voyage with a Tail Wind) has records about China's maritime navigation activities as well as the islands en route, which goes as "when the ship approaches the Wailuo Port, heads towards it, and continues to sail eastwards for 7 Jing (14 hours), and you will arrive at the Wanli Shitang. Within it, there is a red rock islet, which is not high." The "Wanli Shitang" herein refers to Xisha Qundao. 1405AD～1433AD (from the 3rd year of Emperor Yongle’s reign to the 8th year of Emperor Xuande's reign of the Ming Dynasty): Zheng He went to the west ocean for 7 times. In the famous Zheng He Navigation Chart, originally called as The Map of Treasure-ship Fleet Sailing to Barbarian Countries from Longjiangguan Pass, more than 500 difference place names were explicitly marked out. Among them, about 200 places belong to part of China’s territory. And it marked The South China Sea Islands respectively as "Shitang", "Wansheng Shitangyu" and "Shixing Shitang". Around 1511AD (the 6th year of Emperor Zhengde's reign of the Ming Dynasty), the book Qiong Tai Wai Ji (An Apocryphal Chorography of Qiongtai, today’s Hainan) recorded that, "the Changsha and Shitang to the east of (Wan) Zhou are lands encompassed by the sea. Every time when the strong typhoon strikes, the tides rise, the houses will be flooded over and the farmlands be inundated. Either gains or losses are for the people to get or suffer." It demonstrated that at that time, the fishermen in China not only had used Nanhai Zhudao as a base for fishery production, but also had built houses and reclaimed farmlands on the island to carry out agricultural production there. 1521AD (the 16th year of Emperor Zhengde's reign of the Ming Dynasty): in the entry of "territory" in the book Zheng De Qiong Tai Zhi (Chorography of Qiongtai during the Emperor Zhengde's Reign) compiled by Tang Zou, it recorded that "and to the east of Qiongtai, surrounded by the sea, there are Qianli Changsha (ten hundred li's long sand cays) and Wanli Shitang (ten thousand li's rocky reefs)". It was clearly stated that Xisha Qundao and Nansha Qundao were within the territorial scope of China. 1617AD (the 45th year of Emperor Wanli's reign of the Ming Dynasty): in the book Dong Xi Yang Kao (Studies on the Ocean East and West) compiled by Zhang Xie, it recorded that "it is extremely dangerous for ships to pass through this place. Moving slightly eastwards, there is the Wanli Shitang". The "Wanli Shitang" herein refers to Xisha Qundao. In 1637AD (the 10th year of Emperor Chongzhen of the Ming Dynasty), the Wu Bei Mi Shu Di Li Fu Tu (Attached Maps of Favorable Geographical Positions for Armaments and Military Secretary) compiled by Shi Yongtu had explicitly included Nanhai Zhudao into China's territory. The Hai Nan Wei Zhi Hui Qian Shi Chai Gong Mu Zhi Ming (Epitaph of General Chai, Military Commander of Hainan Wei) of the Ming Dynasty recorded that, "Guangdong is close to the sea, all the neighboring kingdoms overseas are our affiliated kingdoms", "His Honor commands more than ten thousand soldiers, and 50 large ships", to patrol "tens of thousands li's seaway". It revealed that in the Ming Dynasty, the Hainan Wei had already carried out patrolling mission and exercised jurisdiction over Xisha Qundao, Zhongsha Qundao as well as Nansha Qundao. The book Jing Lu Bu (Book of Seaways) is a navigation guidebook used by the Chinese fishermen while carrying out fishery production since the Ming and Qing Dynasties. It recorded the compass bearing and number of Jing (1 jing equals to 2 hours) of the fishermen's navigation among the different islands and reefs of Xisha Qundao and Nansha Qundao. In this book, it gave an account of more than 70 place names of Nansha Qundao habitually used by fishermen of Hainan as well as their specific locations. And it had recorded more than 100 different Jing Lu (seaways) among different islands and reefs of Nansha Qundao.